I just returned from a visit to Hungary, focused on the country’s market thinking and practice. I find Hungary to be a long term partner and deserving of our support. I was impressed by the breadth and depth of the courses offered by the Corvinus Hungarian Business School, which does not play second chair to most U.S. universities. The admissions process, the scoring of applications, the transparency of decisions, and the competition for seats, were heartening indications of a market economy. Society now clearly offers a service orientation. At the airport there was good help with baggage and a distinct pride in the service rendered. My taxi service was metered with no unsolicited detours. After a major thunderstorm in Budapest, people were on the street within minutes to clean up the damage. Bravo! When a guest had trouble walking in my hotel, the manager personally drove short distances between buildings for meals. In stores, employees no longer hide to keep the customer at a distance, but approach with a smile and an offer of help. A recent investment by Mercedes Benz re-affirms the auto cluster formation in Hungary. Some of these positive shifts were perhaps present earlier, but were not as ingrained as they are now. There are shortcomings: In downtown Budapest buildings still have damage from bullets and grenades. These reflect the wounds of conflicts past, but they also indicate the underfunding of renovation efforts – particularly when it comes to public buildings in prime locations. Some funds allocated for public works disappear with limited impact on their designated purpose – which many attribute to corruption. Health care is limited and requires ‘tips’ paid to doctors. Ignaz Semmelweis, one of Hungary’s medical heroes, was always in favor of clean hands! Immigration represents a major burden. 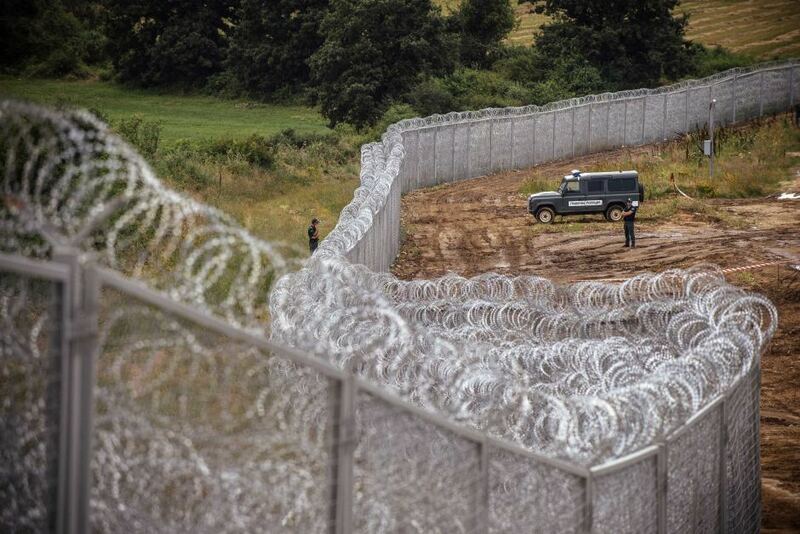 I observed the human flow between Serbia and Hungary, a 200 kilometer long green zone. Groups of 30 to 50 women, children and men slowly walk across the border. The local chief of police shrugs, since he neither has the manpower nor the physical resources to round up or process the waves of humanity. 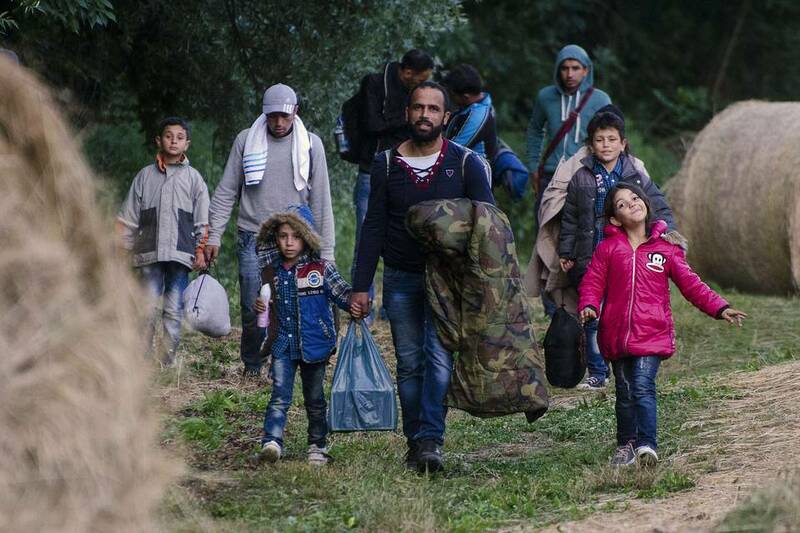 There is talk that in the first six months of 2015, more than 60,000 people entered Hungary from Serbia. Right now, they aim to settle in Germany, France or Britain. The march through Hungary encounters an ostrich policy of “carry on and ignore”. But The people who immigrate are worn out and not any less hungry because they’re in Hungary. To rest, or feed themselves, they trespass on property and take food. Locals are weary and talk about organized protection for their harvest. Growing pressures and complaints risk sparks in a tinder box. The government responds with very limited resources. Right now, a wall is being built to restrain the immigration flow across the most accessible border areas. Complaints, ignore Hungary’s need to contain the threat of conflict. Proactive steps need to be accompanied by targeted help from abroad. For centuries, Hungary has been too far East to be part of the West, and too far West to be integrated into the East. Throughout its history, there have been long term occupations by the Tatars, Ottomans and Austrians. The treaty of Trianon, removed large portions of Hungary’s population and resources. During the Cold War Hungary kept conditions at least lukewarm with its Gulyas communism, and was often at the forefront, for example, with its 1956 revolution against the Soviet Union, and the opening of its borders to escaping East Germans. I return cautiously impressed by a country which needs our help, and more yet, our understanding. Hungary’s history and traditions point the nation towards the West. By acknowledging its many accomplishments, and by making allowances and providing support for further change, we can help Hungary, the immigrants and the reformation of Europe.